Sherm Nelson, Clay Nelson’s dad, showed his son that the simple act of doing laundry for those in need is an amazing way to show Jesus’s love. Clay—a Camp Lutherhaven Resource Staff volunteer each summer and a Spokane high school social studies teacher the rest of the year—is honoring Sherm’s legacy with a Challenge Gift of up to $8000 for a Fifty-Year-Needed improvement to Lutherhaven’s facilities: The new Lutherhaven Laundry Center! Your donation will be matched, dollar-for-dollar, to reach our $16,000 goal! Washing upwards of 600 sheets each summer camp week, not to mention all the laundry for 50 summer staff, plus the occasional sleeping bag and clothes for the camper who had the “accident”, is part of Lutherhaven’s constant effort to keep campers and guests happy and healthy. “And it barely works," writes Clay. 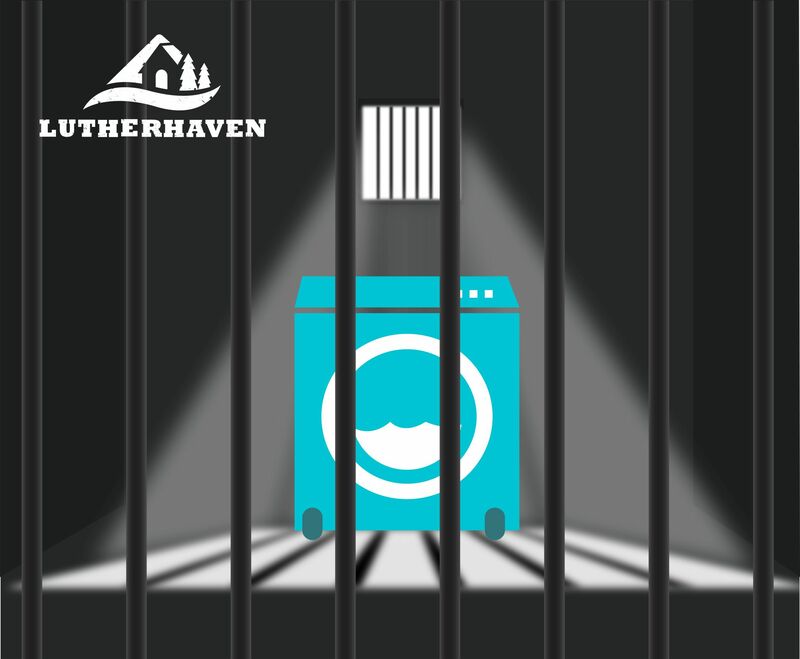 Thanks to Clay’s generosity and challenge, the old Lutherhaven Laundry Dungeon (and the moldy mustiness that dwells there) is going away for good, being replaced with camp’s new Lutherhaven Laundry Center! A conveniently-located drive-up facility in the upstairs of the Lutherhaven Maintenance Building. Folding counters, lighting, seating…maybe even music and a deck of cards! Lutherhaven Ministries has partnered with Give Lively to securely process your online donation. This transaction will appear on your credit card statement as "Lutherhaven Ministries". This transaction is subject to Give Lively's Terms and Privacy.